In 2004, about six weeks after giving birth to my son, I developed my first symptom of neuromyelitis optica. I woke up one morning and couldn’t see out of my right eye. I had gone to all the local emergency rooms trying to figure out what was wrong. I was constantly told by all the ER doctors that I was a 21-year-old looking for attention. Fast forward, one year later it happened again this time in the left eye. I ended up going to an ophthalmologist who said that I would most likely come down with multiple sclerosis within the next 10 years. That was November 2005. I awoke one morning and this time I was completely blind. I ended up finding a doctor to do a steroid treatment to try to save my vision, but it was too late. My mother ended up getting very sick and in December 2005, I put my health on hold to be by her bedside. Sadly, I ended up losing her and in January 2006, I decided to go to the University of Florida Health Shands Hospital, where I was able to be seen by their ophthalmologist. He immediately told me that he was 99% sure that what I had was called neuromyelitis optica. He admitted me into the hospital and did IVIG treatments to try to save my eyesight once again and it was too late. I will never forget the day he sat down on my bed and told me I had tested positive for the disease. I remember looking at him and saying “No, I’m Too Young To Die.” They immediately put me on a treatment called Imuran. I ended up relapsing that May 2006 because the medicines hadn’t kicked in. This time the relapse was quite different from before. I awoke and couldn’t feel my right leg. I could still move it, just no feeling. They immediately admitted me into the hospital once again and did what’s called a plasma exchange. 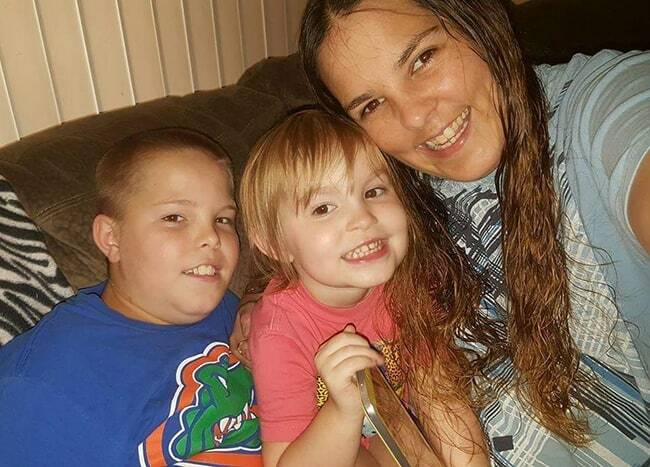 Fast forward to ten years and here I am with my two beautiful children and relapse-free for almost 11 years. I have overcome my disability. I have now started my own photography business and married the man of my dreams. I can only hope for one day for them to find a cure for this disease.